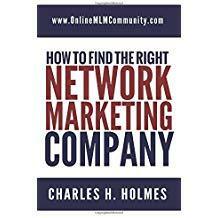 In this short article, I will cover the most frequently asked questions about MLM and network marketing. These are common questions that many new network marketers and prospects have about the industry. 2. How Do You Recruit People? You can build a team initially by talking with people you know. Most people have a sphere of influence of 500 to 2000 people. In most cases, you will be able to sponsor some of these folks to start your team. As time progresses, you should utilize the internet, paid advertising, and daily prospecting to find new distributors. 3. How Do You Make Money in MLM? You earn commissions and retail profits from your personal sales. And you earn overrides and commissions from your team’s sales. In essence, you are an independent contractor working as a salesperson for the MLM Company. Each compensation plan is different, but you normally get paid a certain percentage of your entire organization’s sales. 4. What Types of Products Are Sold Through Network Marketing? MLM Businesses mainly focus on consumable items. This includes healthcare and nutrition products, cosmetics, consumer durables, etc. Since these are the most common items purchased, selling them becomes easier and more profitable. And since they are consumable, customers and distributors will use up the products each month and then need to place a new order. This creates residual income. Other MLM Companies specialize in utilities, juices, legal services, travel, phone plans, gold, silver and countless other items. If you can think of an item, it’s probably sold in at least one network marketing company. 6. Is the Industry a Scam? I don’t think so. But, I do know that some distributors utilize corrupt or deceptive business practices. Like any industry, there are good and bad people in the industry. Most people are pretty quick to call our industry a scam, even if they’ve never researched it themselves. Many of the folks who get involved with MLM (1) don’t have any business experience, (2) they are looking to get rich quick and (3) they aren’t willing to do the work. As a result, many of these folks get in for 30 to 90 days and then quit and say they were scammed. The truth is, you can’t build a successful business of any kind in 30 to 90 days. 7. What is the Success Rate of Any Given MLM Biz? It’s been said that 97% of all network marketers lose money. I have never seen written evidence that supports that claim, but I’d bet that less than 10% of the people make any type of significant income. While many people who participate in our industry earn nothing or lose money, some distributors earn six or seven figure incomes. Individual results will always vary based upon individual effort, time invested and skill-set. It’s a proven fact that most businesses (of any nature) fail. According to the Small Business Administration, approximately 90 out of 100 businesses in business today won’t be around five years from now. Another key thing to consider is “what is your definition of failure?” Everyone who enters MLM has different goals and objectives. Many people participate just to get a discount on their products. And many folks earn a few hundred dollars per month or get their products for free each month. So calling these folks “failures” doesn’t seem right to me. 8. Can I Build More Than One Business At a Time? You can with some companies. Most companies have a non-compete clause in the distributor agreement which prevents you from doing this. Also, I think it’s a wiser idea to focus your efforts with one company so you don’t lose focus. 9. How Big is the MLM Industry? There are close to 50 million people involved in the industry world-wide. The industry continues to grow because of the poor economy. Many people are now looking for a PLAN B to escape the rat race. In addition, the industry does more than $100 billion per year in sales. And I expect it will one day be a trillion dollar industry. 10. What is the Best Company to Join? That depends. I always tell folks to find a company with products and services they are passionate about AND offer a good deal to the retail customer. If the items are priced fairly for customers, you might be on to something. Also, you want to work with an established company, with a good reputation, a fair compensation plan and good company leadership. There are many good companies in our industry to choose from. 11. Should I Focus on Recruiting or Selling? Both have their merits and what you do will vary based upon your goals and objectives. In the beginning of your business, the immediate money is made by selling products, however, the real long-term money is in the team building. I always tell folks to get five or ten customers before they start recruiting distributors. 12. How long has MLM Been Around? 13. It MLM Better Than Owning a Traditional Business? This is another debatable question. Here’s what you should know. MLM is not perfect. Neither is owning a traditional business. Both come with some type of risk. After all, that’s what an entrepreneur is: a risk taker. What I personally like about MLM is the low start-up costs, the ability to earn residual income, and that you don’t need employees, an inventory, or separate building. Ultimately, you need to decide what business model is best for you and do that. 14. What Can I Do to Be Successful in MLM? To succeed in MLM, you need to pick one company that you really love and stick with it for five to ten or more years. You will never be successful if you just try something out and give up in 90 days. You can’t switch companies every three to twelve months and expect to be successful. It also helps if you develop a written business and marketing plan, find a mentor, schedule time to build your business every day, and focus on improving your skill-set and mind-set. Whether you are building your business part-time or full-time, you need to make it a high priority. You can’t wish your way to success. The bottom line is you should treat your MLM Business like you have TWO MILLION DOLLARS invested in it. Do that, and I know you will succeed. What are your thoughts? Leave a comment below and let us know what you think. I would have to say that this post should be read by everyone. So many people really do not understand what an MLM is, they only go by hearsay. This is where the scam part comes in. One person has a bad experience and 1,000’s of people will hear about it. If a person has a good experience, 1, 2 or even 3 people will hear about it. It is great that you are educating people on what MLMs are. There is so much confusion. Also, you are very correct. Many businesses fail; people just seem to “zoom in” on the network marketing businesses that go belly up. MLM is definitely misunderstood. Most people have preconceived notions, even if they haven’t done their homework. I think that #7 and #8 go together. The success rate in MLM is so low that many people think that it is a scam. If you want written proof of how low the success rate is, just read any company’s income disclosure statement. Keep in mind that the network marketing companies only count people who are earning a check from them. So the person who joined just to get cheaper prices isn’t part of their statistics. I would say that it is closer to 99% of people don’t make any money or actually lose money in MLM. It’s no wonder that a lot of people think it is a scam. They see a few people at the top making a lot of money and 99% of people in the business not making anything. The success rate in all businesses is very low, not just MLM! 90% or more of all bloggers fail. 90% of insurance agents don’t make anything. 90% of realtors don’t make money. 90% of of all businesses fail in first 10 years. Just because a business has a high failure rate does not mean it is not a good opportunity. You are so right with that reply Chuck. People are very quick to look at the failure rate of MLM without looking at failure rates of other businesses. The economy is so bad here in Puerto Rico right now, that I would be willing to say that the success rate of MLM is probably higher than normal businesses. It is how you manage and market the MLM you are in. If you are innovative and follow the golden rule, you will have better chance of success. Hmmm, it works that way in normal business too. Achieving success in anything is not easy! Those numbers just reflect the fact that any self-employment opportunity has the risk of failure. When I was building my insurance website, I also looked into insurance agent opportunities for some of the larger companies. I was extremely surprised to find that, even after the rather hefty cash investment that the companies required to start up an agency, the required overhead costs were almost crippling. The average net income for even established agents (who, by the way, gave every outward appearance of being very successful), was a good bit lower than some of the support claims support people working for the same company. Whether it be MLM, a franchise, or a J-O-B, people really need to do their research, and then be willing to bust their humps to succeed. Truth is, no business is easy. It’s hard work to build a successful and profitable business of any kind. While the odds of failing are stacked against you, if you do succeed, you can do very well for yourself. I am a believer that success is mainly in the mind. If you are driven to succeed, you will.The majority of businesses that fail, both traditional and MLM, do so because owners and managers do not follow a basic plan of action. They handle the financial end terribly, and they have terrible customer service. I bet if anyone was to zoom in on why most businesses fail, it is because of one, or all of what I listed. Businesses only fail for one reason. The owners don’t know what they are doing.